TodoMovies has been one of the favorite apps that I’ve discovered for my iPhone. The update to TodoMovies 2, back in April, was phenomenal and placed the update at a whole new level. It’s remarkable knowing that the team at Taphive is just two passionate minds working together to churn out fantastic & quality apps for iPhone. Today, the team has launched their second app on the App Store, this one following the same “to-do” theme from their previous app, but one that is much more delightful and stunning. Tick is a to-do app that primarily makes use of simple lists & list-items to help you jot your tasks down. You can create multiple lists and then in each list, you can add multiple items. But it’s the way Tick has been meticulously crafted by the duo that instantly grabs your attention and makes you fall in love with it. Using Tick is an absolute delight and it feels right at home with iOS 7. It makes use of bright, bold colors in its interface along with simple gestures, so getting used to it is pretty easy. The primary screen is comprised of a two column grid of your lists. Each list has a unique icon assigned to it, that you can virtually assign any color to. For example, you could have a shopping list with a card icon, a birthday list with a balloon icon (glyph), etc. Tapping on each icon takes you to that list’s content, and it’s here where you can add items, move the order and mark any item as done. Whenever you perform these actions and come back to the main screen, the icon for your list animates, each with its own unique animation and style. Tick comes with 64 icons to choose from, so your lists can get as personal as you want them to be, with your own choice of color from the palette. 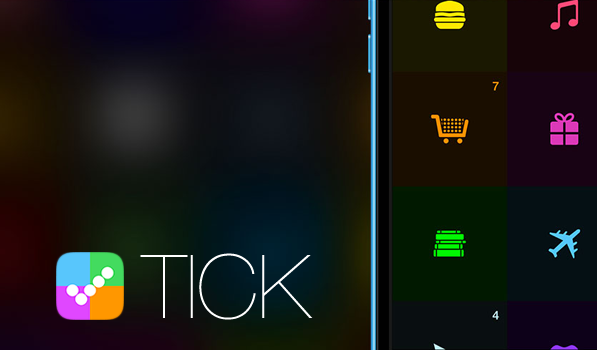 Tick also comes with two themes — light & dark. There’s an Automatic Mode that sets the theme based on your ambient light conditions. 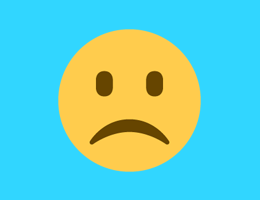 You can not only share your list via Email or Message, but Tick also supports AirDrop for sharing your lists with friends or colleagues. But the most amazing thing about Tick, by far, is how brilliant it works. The transitions between screens, the animations of the icons, the neat use of colors all make it absolute delight to use. You can watch Tick in action in the video embedded below, or jump straight onto the App Store and grab Tick for just $0.99.